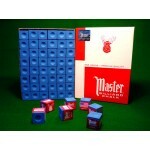 Another brand of billiard products brought to you by CM1. 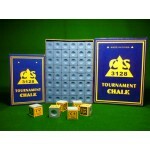 The chalk of CS 3128 is quality and..
Master Chalk is the most popular chalk on the market. 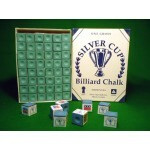 Made by Tweeten Fibre of Chicago, Master Ch..
Silver Cup Chalk is acclaimed by both professional and amateur players alike and is the exclusive..
Triangle has a 75-year reputation around the world as a fine, high-quality product. 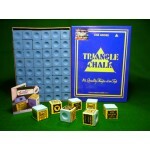 Room keepers ..